Kalti is a popular online payment system in Nepal, which was established in 2010 by Janaki Technology. The other products of Janaki Tech are Sparrow SMS and Picovico. Janaki Tech is working in Nepal for 7 years. As a offer now khalti users can get Rs 10 for creating account and Rs 20 for verifying it. Every new khalti user would get rs 10 as a welcome bonus. You can create a khalti account and get rs 10 as soon as you login for the first time. You can use it to Recharge your phone and for all other services provided by Khalti. Please follow Create you Khalti Account to create Khalti Account. Whenever you verify your khalti account you can get RS 20. You can verify your khalti account with some steps. First Create you Khalti Account Then Login to Khalti. Then Click in KYC from the side menu. Now fill the form and Click Update You need to provide Identity information which could be Citizenship / Driving License or Passport. The links provided here gives RS 10 to you and me too. If you login without this referal link you wont get even that 30 rs for Khalti Welcome bonus and Khalti verification. Please Follow our Article Create and Verify Khalti account. Here is a total guide to create Khalti Account. Khalti is a Digital wllate you can pay for many services like Internet, Recharge, Disk home , Mobile top UP and more services. Khalti is also extendong its services. Khalti Provide Services for online payment for Internet billing, Mobile top up Recharge Card Disk Home payment Khanepani Bill and more. You can now create your own Khalti Account and get Rs.10/- as a welcome bonus. And Rs. 20/- whenever you verify your Khalti Account. Khalti is a digital wallet used to pay digitally. There are many commerical banks, development banks, financial companies, and micro credit development banks are working under central bank. Central bank controls the monetary aspect of the contry. Banking system regulation and fuctioning as a government's central bank along with the central bank, Nepal Rastra Bank (NRB) controls exchanges of foreign currency, supervision, monitoring and governing every activities of banking and non-banking activities of financial institution. The determination of interest rates for proving to people as commercial and exchange of forign currency as well falls under the responsibility of Nepal Rastra Bank. Along with this NRB kept records of all government income and expenditure in the account, issues bills and treasury notes, as well as provides loan to the government, and decide monetary policy. Commercial bank, Development Banks and Financial Institution are establishing in Nepal under the Bank and Financial Institution Act 2006 issued by NRB. Modern History of Banking system first established in Nepal with the establishment of Nepal Bank Limited in 1937 A.D. King Tribhuwan inaugurated Nepal Bank Ltd. on 30th Kartik 1994 B.S. It was established as a semi governmental bank. It remain only a single financing institution until the establishment of Nepal Rastra Bank in 1956 A.D. Nepal Rastra Bank is established as an institution that issues national currency and promote financial organisations in the country. Before the establishment of NRB only metal currency are in use in monetary transaction. Nepal Bank Limited used to function as centre bank before establishment of NRB. A good banking system of a country would help to develop the economy of the nation. Nepal is a developing country. Nepal has enough opportunities for the investment in various developing activities. The establishment of the the development banks are helpful to support and provide loan for the investment for promoting the development activities in low interest rates. Hydroelectricity, tourism and service are the major sector for the banks for providing funds and loans. They are in total 87 development banks. The main role of development banks is to contribute for the development of national economy. 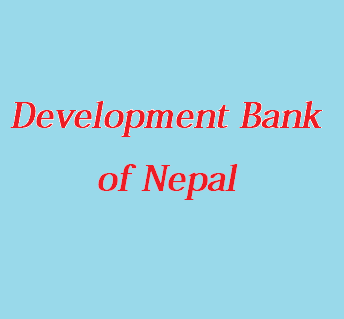 After commercial bank of the category/type 'A' the next category of financial institution distinguished by Nepal Rastra Bank is of the category/type 'B' which includes all the development banks. Development banks are type B financial institute of the nation. Development Banks plays a vital role in providing funds to the major and minor development project of the country. Enjoying with the natural beauty. Involving in adventurous sports and activities. The main issues most of the visitors have come with is difficulty to get best facilities and services they want. That may be due to lack of pre-plan or shortage of information about the best facilities and service providing institutions. In this article I would covered some issues basically associated with the accommodation. The best place to visit may differ according to the visitors interest. When anyone who visited Nepal as a tourist are in search of best place to stay. When you arrived Kathmandu, then there are many options but among them you need to choose the best one. The best place to stay in Kathmandu Nepal are mention below. Kantipur Temple House: This is an eco-friendly and reflects Newari culture. Kathmandu Guest House: Under KGH flagship there are 8 eco-friendly hotels. Tiger Tops Tharu Lodge: Traditional & Cultural materials around with the organic food. Also, includes safari luxury services. Yak and Yeti Hotel: It is developed from Rana-era palace with eye-catching baroque design and decoration. Dwarika's: It is a boutique hotel consisting preserved heritage architecture. Old Inn Bandipur: It is a beautifully restored mansion in a spectacular mountain village. IOE is one of the renounce institute for studying Engineering in Nepal. IOE stands for 'Institution of Engineering'. This is the head institute of the Engineering faculty under Tribhuwan University, the first and oldest university of Nepal. IOE provides the Bachelor Level and Master Level including Phd. on different subject since 2010. The coursed offered by IOE is listed below. To to an eligible candidate for the entrance examination of M.Sc level in IOE one should pass Bachelor Level in the relevant Subjects with a least of Second Division Marks. The form for the entrance of M.Sc Level can be filled online. You can fill up the online form after depositing Rs. 2000/- in account no. 00915056064 of IOE Entrance Examination Board from any branch of Siddhartha Bank Limited of Nepal. Before moving further you should have your voucher no. from the bank which should be filled in the form. Once you have your bank voucher you can click on 'Start Registration' on entrance.ioe.edu.np. You need to move on through lots of information then after. You need to have a PP size photo less than 200 KB size to submit. The photo background should be plain and of uniform type. Any manipulation of the photograph is considered as invalid. While filling up the form it should not be refresh, reload or back button to refill the details. Once, the form is submitted you can't undo. If you not abble to print or download the confirmation page you can download later by entering your name and date of birth. You can get more detail on: IOE Notice. Bank is the organisation that ease the transaction by managing the monetory aspect by saving them, transferring funds to the recepaint or receiving funds from senders. While together in connection with internet services it is easier for performing banking related services. The service provide through the internet is considered as electronic banking service and the use of e-banking is increasing day by day these days. It is necessary to have some basic knowledge of what exactly the e-banking is? E-banking represents electronic banking system. Electronic banking service is most modern way of receiving banking services with the use of internet. It is popularly known as e-banking. Any type of transaction performed through electronic device such as computer or mobile phone or anything else with smart device which is capable to enable internet to work to load web on the browser. Banking service providing through the internet that e-banking should be provided only through the most secure and capable website. This kind of e-banking system helps to manage the financial activities of the the service providing bank through the analysis of website. E-banking have alots of advantages. Some of the advantages can be presented as below. There is no any restriction of office time and no need to wait for opening hour of banking branches. Financial transaction can be made from anywhere with the internet. There would be no any more risk for carrying huge amount of money with person. No need to wait in queue for any transaction purpose, it will save lots of time. Under the non-transaction services a user cab view their account details, view their transaction history, view, download or print the bank statement, and also can order cheque through mobile, computer under internet facilities. This service is associated with transferring of their balance from other bank account to theirs or from their accounts to someone others account either of same or different banks, paying bills of different utilities, purchasing of goods pay through Debit/Credit card on Point of Sales (POS), also different bank related administrative works. There are different kinds and forms of banking system that are operated in Nepal among them some of the main forms or types of e-banking would be described bellow. Balance Inquiry service is available. 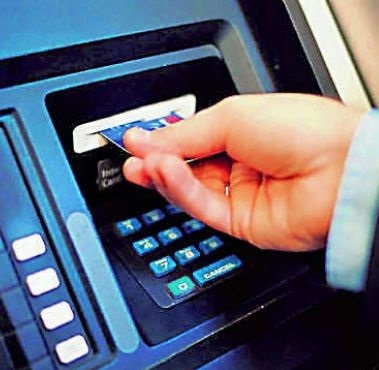 You have to reach to the location with ATM machine and that should be of the particular bank or associated banks of that banks with your balance. Any financial transaction are made with the help of cards. Paid cash is deducted from the users bank account(s). Deposition of cash can't be made using Pos terminal. Can check balance of users respective accounts, recent transactions history. Funds can be transferred from one accounts to another between the linked account of customers. Bank statements can be observed anytime customers needed to checkout. Paying third parties that may be bill payment or funds transfer can be done easily. Many task other than transaction related to banking administrative task are performed. Status of an account can be checkup using this type of e-banking service. Balance Inquiry can be performed. Transfer or paying of funds through this e-banking service is not possible. It is similar to that of Tele-Banking other than telephone, cell phone is used instead. Only balance checkout and account status can be check on sending a particular message. Fund transfer is not possible. Wordpress is most famous platform for the creation of site on it. It provide subdomain to everybody freely so that anyone can create their own site. People can share their view and opinion in brand new way. Wordpress.com is maindomain underwhich people can create their own sub-domain for every people. This provides new approach to reach every general community who ever can create their site. Wordpress is the most popular online publisher occupying 28% of total world web. Wordpress is bringing people at a place to share their experience and opinion to larger audience by providing equal opportunity with easily available platform for creating their own website under domain of wordpress. Wordpress.com come into existence since, 2005. Even the people with no any previous experience or familiarity with making a blog can make their own blog under wordpress in a short interval of time. If you are willing to begin to create your blog on wordpress, go to wordpress.com. Click on Get Started in the top right corner if you are the complete beginner. Fill up the form as shown. Write your site Name on first box and follow by it's type and mention the purpose of your site as well. At the end give how comfortable you feel creating website. Then, click on continue. Now, it is time to give address to your site you are just going to create. You can insert any address name that just need to be available for free. Click on 'Select' on your preferred one. Now, you need to create your site on free then you have to click on start with free on the third step of site creation. In the final step you need to provide your email address So, that wordpress sent you confirmation mail to your email. Choose your username and password (remember you need to log in to the wordpress). It has said that wordpress has sent a confirmation mail to your email address. Checkout the mail and start your site. You would see that which states your site has been created! Now, you need to setup to get ready to publish your first blog post on wordpress. then you would see this. You can edit your site by clicking on 'My Site' on it's left corner. Hope, this post would be helpful to create free website using wordpress and start blogging from the day. The technology is rapidly developed and have brought a lot changes in the livelihood of the people. The progression of the technology is observed in our day to day life from the mobile we carry, laptop we use, television we watch, vehicle we travel, instrument we use, etc. and many more. Similar type of progression have been observed in socio-economic lifestyle, seller, buyer relationship with the development of more rapid and reliable paying system that works online and can be pay or receive in instant of time. eSewa is the most used mobile wallet and most used online payment system. You can get more detail about eSewa on Creating an eSewa account. Other alternatives of eSewa are availble but their uses is minimum in comparision to eSewa. Khalti and iPay Nepal are other similar kind of online payment system but with a narrow working area in comparision with eSewa. eSewa Nepal is the first online payment system in Nepal. eSewa Nepal helps in paying bills for many merchant of many online stores like bhatbhatenionline.com, giftmandu.com, harilo.com,Yeti airliness , Buddha air, movie tickets of QFX cinemas and many more. eSewa is mostly used by people for Nepal Telecom bill payment, lineline and ADSL bill payment, mobile phone recharge services, transfer money from bank to bank, etc lots of works can be performed by just few clicks staying on home. eSewa can be log in by visiting eSewa web portal: www.esewa.com.np and log in with either your email or number and password you have set during creating your account on eSewa. eSewa can also be used by using it's app which is supported on iOS and Android smart phones. eSewa Nepal app is available in the Play Store. You can download app and use your digital wallet more easily. eSewa Nepal provides customers with service of billing their utility among that the billing of electricity is mostly used. Online payment through eSewa account is easier, faster and reliable. Along with this all characteristics it is regarded as best online payment system due to it's huge network of partners banks through which it can make customers easier to load their eSewa account from the bank account and from bank directly to eSewa. This makes customers easier to spent their money through eSewa on different online shopping and to any organisation who have eSewa account. Any information you are willing to get about eSewa are obtained either by visiting to it's central office or branch office if you are at the place close to the office or otherwise you can contact and report the problems or any query in customer support number- Toll free no. : 1660-01-02121. We can recharge eSewa from any partner banks that is around 45 different banks running in the country. You can directly transfer your bank account into the eSewa this is how you recharge eSewa account. iPay Nepal is an online payment gateway working in Nepal. Likewise, creating eSewa account and creating Khalti account for the online payment system account on iPay Nepal is also created as it is another important Online Payment Gateway (OPG) running in the filled of online payment. - Since, none of any one payment gateway among all the payment gateway have covered online paying system for all the services around Nepal. - Not any specific online paying system is managed to provide services throughout the country. - Not any specific online paying system is linked with every banks of Nepal. - Tickets of every domestic airlines, movies tickets of every halls, electricity billing system, water bill payment system, internet billing system of every service centre is not available in a single online payment system. Thus, it is important to have a account on different online paying system which helps in need while paying to different service centre easily and fast without spending time on traffic and standing line for paying taxes or any payment on different service proving office. You can Create account on eSewa and Create an account on Khalti as well. In this article, I am going to discuss about the iPay Nepal and way to create accounts on iPay Nepal. It is obviously the services provided by iPay Nepal is similar to that of other online payment system. But, while mentioning it's services it basically provides services to pay telephone bills, electricity bills, internet bills and others utility bills to their customers. Along with this a customer can buy recharge cards and top mobile phones with just few clicks. The tickets of domectic airlines are available online in iPay Nepal. The partner airlines are Buddha Air, Yeti Airlines, Simrik Air and Saurya Airlines. The iPay costumer can enjoy the facilities like buying movie tickets, travel tickets of the buses and tickets for manakamana darshan by cable car. Bill payment of various online shopping stores can be done with iPay Nepal. iPay Nepal company is continuously working on adding more services such as payment for the insurance company, school/college bills, etc. Click on 'Register' on right top corner. Fill up the registration form and click on 'Create a new account'. Notification of configuration email sent. Now, check out the mail. For the first time you would see as shown you have to choose your photo file that should be less than 70KB. Then, you finally end up with all the basic registration and form filling processes. You can load fund on your iPay account from it's partner banks like Nepal Investment Bank Limited (NIBL), Kumari Bank Limited, Everest Bank Limited, Laxmi Bank Limited, NIC Asia and Global IME Bank. The links of ebanking of respective banks are given through which we have to load money to iPay Nepal account from the bank with our account. This is how you can create account on iPay Nepal and begin transaction through online using iPay Nepal. The world is growing smaller days by day not physically but by digitally. The computer and internet is squeezing the world into small village thus we called it as global village. We are now begin to depends on computers and internet for our daily works. We can't get apart from our daily life and this number is rapidly growing. In comparison with the period 11-15 years back there is significant changes in the filed of communication and information technology. These technologies are making our life easier and faster and turns into different dimensions of lifestyle. While, along with the benefits the problems like hacking, intellectual property theft, credit card cloning, privacy issue, bullying, phishing and many more added challenges ahead of us. On this circumstances, to regulates the crime observed among the internet users the government come up with the 'Cyber Laws'. Human rely on computer for day to day works. Cyber Laws is the rules and regulations maintained by the states includes variety of issues that may be associate with the internet, communication technology, intellectual property, freedom of expression and jurisdiction. It is prepared to minimised and control the crime associated with work related to the internet world. It is required to maintain and regulates the activities performed in the internet world because the misuse may cause hamper's somebody privacy, increase threat to personal documents, blaming others and spreading fake news which need to be regulated well. Cyber laws are raising issues associated with the cyberspace. Cyberspace includes the electronic medium of computer network where online communication can take place. Cyber Laws importance is increased day by day. The increasing number of internet users shows that it is the most to regulate. Also, cyberspace includes wide range from computer, computer internet to the internet data software and many more.Unless without any proper cyber laws, rules and regulation it is difficult to maintain all these. Thus, various criteria are found out and various norms and values are raised all around world with increasing access to internet. The internet users should be remain within the terms and regulation of the internet using norms. It is required to cyber laws with proper norms and values that should follow by an internet users are get compiled as an Act that is an Standard form of Rule and Regulation maintain by the State government. Every nation are building the rules and regulations that remain within their social norms and values. Cyber laws not only provides security to the intellectual properties but also helps to maintain the users privacy. It is indeed the issues explained to computer and internet users what should be done and what shouldn't be done. Cyber laws helps to create an neutral platform, helps to creates standards models to use which creates well supporting facilities to the citizen for their economic boost. The more people engage in internet world the more chance of occurring an unpleasant activities would occurs and similarly in the same proportion the criminal and illegal activities would may increase. The internet users are daily increasing day by days and this number is significantly higher in developing countries like ours. It is felt the urgent necessity of Cyber laws to maintain issues and resolve troubles created by the internet and unwise use of it. Different countries in the world have their own cyber laws they may differes from one country to another and different regulating bodies.In our country Nepal it is felt to have an Act to monitor and control unpleasant incidence associate with internet world government of Nepal passed "The Electronic Transaction and Digital Signature Act-Ordinance-ETA" which is recognise as "Cyber Law" on 15th September,2004 and approved by house of representative on 4th December 2006. 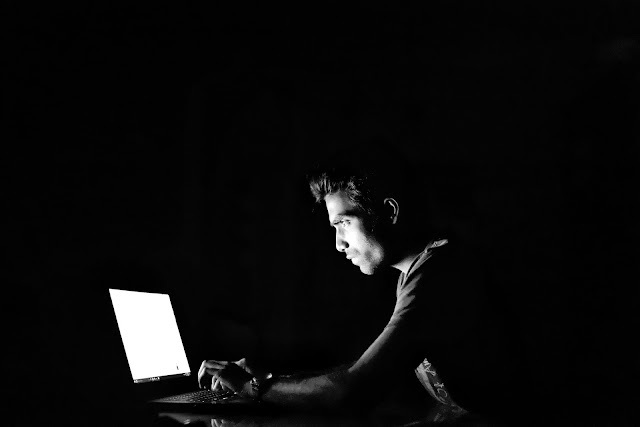 This Act has 12 sections and 80 clauses on different heading and subheading associated with the issues related to computer network and cyber-crime. This laws helps to bring the cyber criminal under the justice of laws and punished them as other types of crime. According to this act it has said that violating any cyber laws would get punished for a minimum of 6 month to a maximum of 3 years in jail and has to pay from 50 thousands to 300 thousands Nepali Rupees as a penalty. Cyber laws indeed helps to keep safe and increase the economy of the country through the use of Information Technology. But, it's not been observed so in recent years due lacks of amendment that should be made on the cyber laws thus observed lots of cyber crimes and irregular IT economy of the country. The internet services are changing in a rapid ways and peoples behaviours and amount to use the information is changed thus ETA is insignificant to regulates internet activities with limited rules and regulations. The gaps between the cyber laws and the current internet services is used by the criminal mindset people to escape away from the criteria under the laws. Since, the cyber laws have not address new updates through amendment Nepali citizen are far the the use of IT facilities which have been enjoyed by rest of the world. For explaining limitation of cyber laws we can take an example of not having any reliable and fast online payment system in Nepal because ETA hasn't properly addressing the online payment system. The challenging aspects of the cyber law is it's implementation. It is because for the proper implementation of the cyber laws people should be aware of these types of laws. Most of the internet users of Nepal uses the internet for entertainment purposes and they don't care about their privacy creates lots of troubles in internet world like using fraud, bullying, spreading unreliable news about someone individuals or group of people are almost common and implementing in this scenario is a difficult task. Explaining the Cyber Law over and over leads to nowhere. Instead, it is important to implement it properly, it's amendment with the course of time and with the demand of the time, awareness creation among the public and to all general internet users. Cyber laws should always made with vision of creating a safe digital society while digitising one aspect after another of society. Kalti is another popular online payment system after eSewa in Nepal established in 2010 as Janaki Technology as software product industry after a year after the establishement of eSewa. Janaki Tech is now the parent organisation of the Khalti. The other products of Janaki Tech are Sparrow SMS and Picovico. Janaki Tech is working in Nepal for 7 years. Khalti literally mean 'Pocket' i.e. it tries to convience their user that Khalti is another secure place for money to keep and use when needed through online no need to carry money on any shirts or pants pocket. Khalti is owned and operated under Sparrow Pay Pvt. Ltd.
Khalti provides services like online mobile recharge, bill payments, online ticketing, etc. The main goals of Khalti is to make easier the payment system and make available to every individual people. It describes itself as it works based on solution-oriented approach and tries to make people reliable for all any kind of servies associated with payment through best practices from offline to online. It is very comparabelly easier to create Khalti account than to an eSewa account. View the link: [Create an eSewa account]. You just go to Khalti official site. and fill the sign up form at it's right side.Then, click on Join. When you click on Join. Then Khalti send verification code on your mobile number. You need to enter the verification code in the box shown and click on 'Verify'. When you first login with your mobile number or email and password you entered during sign up you would see following pop up! It means unless you fill our personal detail and provide legal document we would allowed to transact above Rs. 5000/-. Here personal detail is called as KYC- (Know Your Customer). The above figure shows that after filling the KYC form you would earn Rs 20. After we Click on 'Ok' then it imposes to fill the KYC form. It state it as mandatory to every customers to perform transaction above Rs. 5,000/-. You can fill up the form seen after clicking on 'Fill form'. You need to provide your name, father name, mother name, grandfather name, spouse name (optional), date of birth, legal document type that may be license or citizenship card, your address, citizenship card no., place of issue and alot. Around the end you have to upload your pp size photo by clicking on choose file. In two other location you have to upload front side and back side photo of your legal document respectively. I just forget to extract the picture of this process, it is easy and hope it goes without error. Hurry! you can do transaction through your Khalti Account. How to load Khalti Account? You can load by moving close shopping mail or market where Khalti loading facililties is available. You can load money from ATM like machine called Kiosk Machine. You have to go to the Home Screen of Kiosk Machine and tap on 'Wallet TopUp'. Then, you need to choose wallet here it is "Khalti". You need to enter the mobile number used in Khalti account. and step ahead in next process. Now, you need to enter money into the machine from 'right' side. When your money entered inside it shows on screen. You can enter money note one after another not more than Rs. 10,000/- in one time of loading. If you entered you desired then Click on 'Pay' and close that all. This way you can recharge your Khalti account. This click on this video for understanding clearly. Or, if you have internet Banking system you can load staying at home from your bank account or can ask for friends you can even offer fund, load via your card. Now, you have to log in ebanking service of your bank. Only five banks are available for transaction purpose for Khalti it would may increase in near future. You need to log in to your Bank with User Id and Password. and Click Login and transfer amount to Khalti account. In this way you can enjoy online payment system through Khalti. Enjoy the payment with Khalti. Have a nice time! Feel free to share your opinion about the article on the comment section below. eSewa is the main leading online payment gateway of Nepal since 2009 January. It has been recently licensed by Central Bank of Nepal - Nepal Rastra Bank as Payment Service Provider. It is a digital wallet through which customers can pay, receive and send money using their mobile or in an internet instantly. Customers can register and get mobile account instantly, loading cash from an agent or partner banks and begins to make payment. Customers can pay bills of their utility, recharge their mobiles, pay internet bills, EMI-Equated Monthly Installment, buy air tickets, school fees, credit cards bills, and many more from their mobile. In the same way, the merchant, service provider and retail outlet receive payment within instance. Thus, the transaction made using eSewa enables secure, immediate and ease the payment system. As it is the first of it's kind, it is popular among users frequently using online payment system. eSewa has it's App that can operated in both iOS and Android device and it's web portal is www.esewa.com.np. Although some other alternatives online payment gateways are established and appeared to be in existence in recent years eSewa is still maintain it's popularity among the users. Other online payment gateways of Nepal are Khalti and iPay Nepal. You can also learn: how to create account on Khalti and creating an iPay Nepal account. It is linked up with 45 banks. These banks provides exchange of money to eSewa users for free. Easy to access and exchange money. Provides services to many payment system through online. eSewa is used in Nepal and even in India. Anyone from Nepal and India can create and verify their account. With some updates in the design of eSewa it have been a little difficulties to get started with eSewa. Here! are some steps how to create an eSewa Account in a simple way. eSewa can be register from mobile typing "REG" on SMS box and sent it to 32121 with free charge from Nepal Telecom while cost Rs. 0.50 per SMS. While Creating eSewa from website in an updated design of eSewa we should visti official site of eSewa and click on 'Register' on the top right side. You would see the following dialogue box fill it up as it asked. Fill up the registration form for eSewa. Then, click on 'REGISTER' button. Next, to this appear a dialogue box. Close up dialogue of registration form for eSewa. The box appear tells that 'verification link' has been sent to your email. So,you need to check out the mail.You can click on 'CLOSE' after then. Confirm your registration of eSewa with the link. You can either click on Confirm to open the link on next tab or you can copy and paste the link given on your browser. When you visited the link given eSewa would sent you mobile token no. You should enter the token no. given on the blank filled. The token valid for 5 min so you need to set password using that token within 5 min otherwise all the registration process should be repeated. With this you have come on end of the creating account on eSewa. Your can login with either your mail id or by your phone no. and password you set. Personal detail for eSewa account. Your balance is shown in top tight corner. Reward point increases based on numbers of transaction you make through eSewa. The step ahead to this is filling up of your personal detail to verify your eSewa account. Only verified account can transect Rs. 10000 or above it. You can enjoy online payment system when you have your own eSewa account for small transactions. Hope! this article is helpful for you to create eSewa account. Give your opinion on comment section down below. Suggestion and comments would be appreciated. Also don't forget to see my new article on this.